I would like to take this opportunity to introduce myself. My name is Dr. Roger Yaremko. I grew up on a strawberry/market garden farm in Warwick, AB. I completed my chiropractic education in February 1998. Graduating in the top 10% of my class from Palmer College of Chiropractic in Davenport, Iowa, USA. I started my first practice in Edmonton, AB in November of that same year. 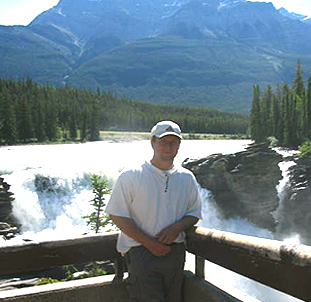 September 2004, I opened Mundare Chiropractic one day per week, while continuing to operate my Edmonton practice four days per week. Unlike mainstream medicine, which focuses on treating symptoms and existing disorders, chiropractic medicine is preventative and can address issues and imbalances before they result in illness and disease. While chiropractic treatment certainly helps people after the onset of injury, such as following car accidents or sports and work-related injuries, regular 'tune-ups' keep the whole system aligned and contribute to optimal health. I had been looking for something to help with the energy flow of my patients. I came across the Chi Machine a couple years ago and have been reading up on it to see if it was something I could incorporate into my practice. 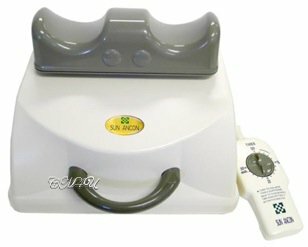 Then one of my patients came in for an appointment and they stated that over the past weekend they used the Chi Machine and that they felt great afterwards. Once I heard that, I decided to give it a try. My patients love it. It helps keep them going between adjustments. My patients range in age from two weeks old to 94 years old. I use a variety of chiropractic techniques and also provide nutritional and lifestyle guidance. temporary pain relief, relaxation and much more. Products, Pricelist and Special Offers. To order, please contact Dr. Yaremko directly. This website is for informational and educational purposes and is not intended to provide individual medical advice which may be obtained from your chosen health practitioner.